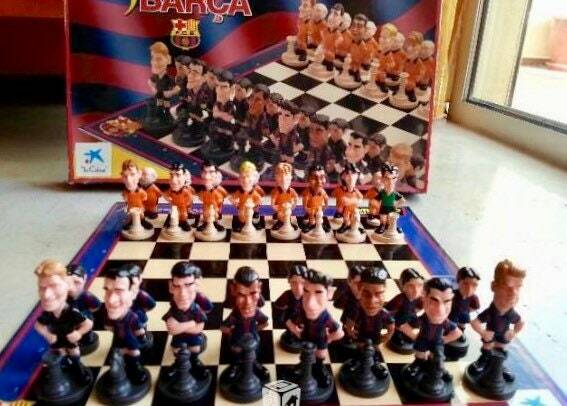 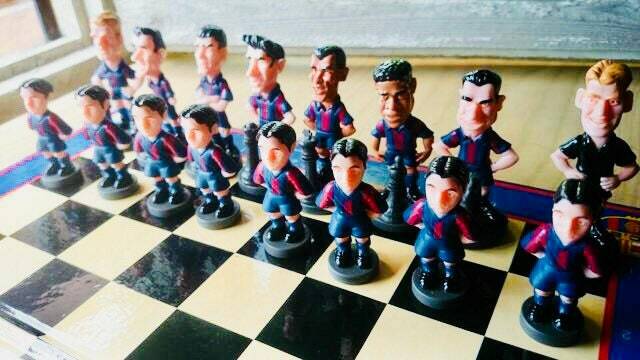 Spectacular chess of the official Barcelona Football Club with the best players of the Dream Team of J. Cruiff against historical players of the Club since its foundation. 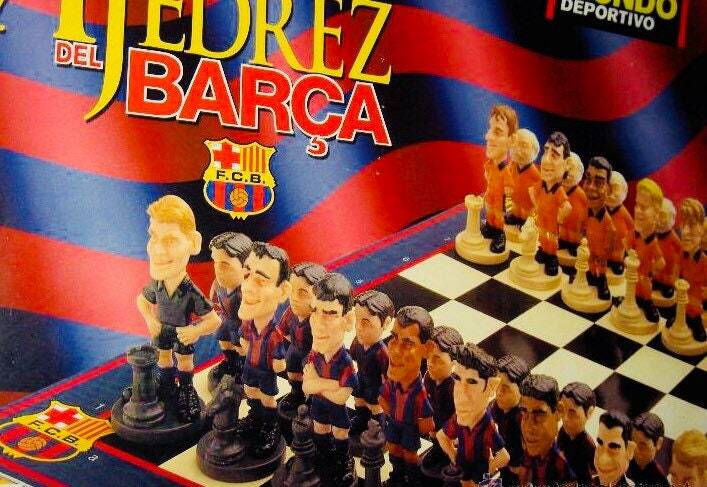 Each player is a very accomplished caricature of the best players. 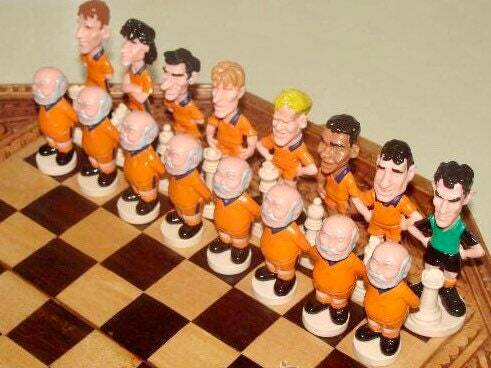 An opportunity to make this historic chess x one of the most important football clubs on the international scene.